David Gordon Green’s Halloween, which saw the return of Michael Myers forty years after John Carpenter’s iconic 1978 film, was one of the most anticipated movies of last fall, and it’s now arriving on Blu-ray. Serving as a direct followup to the original, this film finds Michael coming back to Haddonfield, Illinois to once again terrorize Laurie Strode (Jamie Lee Curtis), who has spent the past several decades of her life preparing for his return so she can finally kill him. 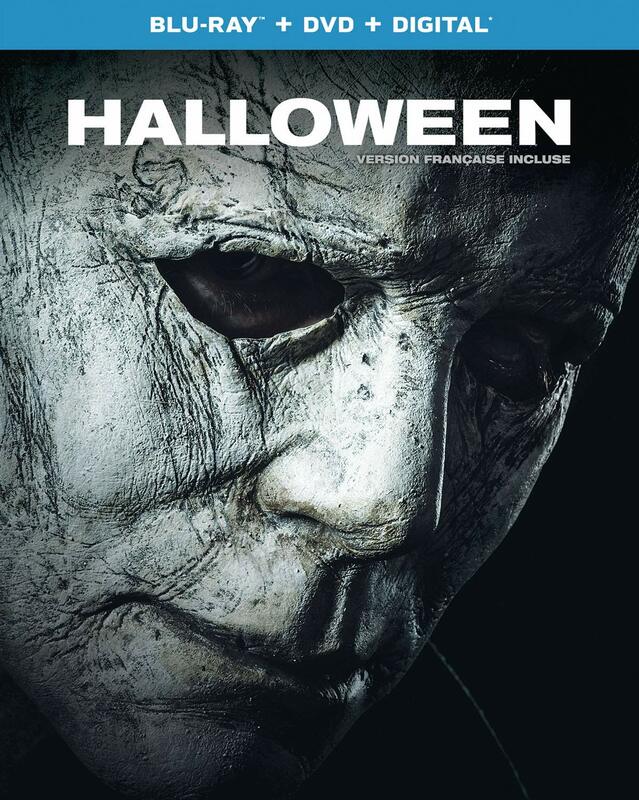 This is a great setup for a belated sequel, and Halloween is a hugely entertaining return to form for the franchise, built around a kickass performance from Curtis. For more on the film itself, you can read my full review right here. The Blu-ray also includes a selection of seven deleted/extended scenes, as well as five short promotional featurettes. First up is Back in Haddonfield: Making Halloween, which offers a general overview of the production, and features members of the cast and crew reflecting upon their memories of seeing the original for the first time; and The Original Scream Queen is an enjoyable but far too brief piece focusing on Curtis and the legacy of her character. Next up, The Sound of Fear offers some insight into the music behind the film, with John Carpenter working alongside his son Cody and composer Daniel A. Davies to reimagine his iconic 5/4 time theme from the original; Journey of the Mask focuses on the iconic mask, and how they recreated it for this film; and The Legacy of Halloween features Curtis, Carpenter, Green and producer Jason Blum talking about the impact of the original, while hinting at the possibility of another instalment. The film comes packaged with a slipcover that features some nicely understated embossing on the mask. Halloween is a Universal Pictures Home Entertainment release. It’s 106 minutes and rated 18A.